Baltimore drivers appreciate a great vehicle, but they also appreciate a great deal. When looking for a model that gives you both, a used Chevrolet or GMC is a great option to choose. No matter what model or what year you’re looking for, you can rely on any used Chevrolet GMC model to provide you with performance that you’ll love to experience. That’s because Chevrolet GMC has a long history of breaking the mold when it comes to designing vehicles, and opting for models that last a long time is what makes their name so desirable among drivers. Regardless of what model you choose, there are certain things that will remain true. First, you will receive a model that uses high-quality materials to perfectly surround you in comfort and convenience throughout your Arnold drive. Second, the exterior style will stand out on the road, so you will turn heads no matter where you go. Finally, you can rest assured you’re driving a vehicle that was meant to last. 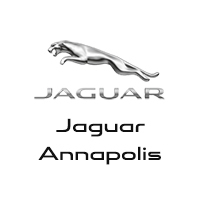 Why Choose a Used Chevrolet GMC from Jaguar Annapolis? When you make the smart choice to bring a used Chevrolet GMC home today, be sure to do so from Jaguar Annapolis. Not only do we specialize in luxury vehicles, but we also ensure every customer receives the vehicle that best complements your needs. Check out both our used and new vehicle inventory, and bring your next vehicle home from our dealership today.